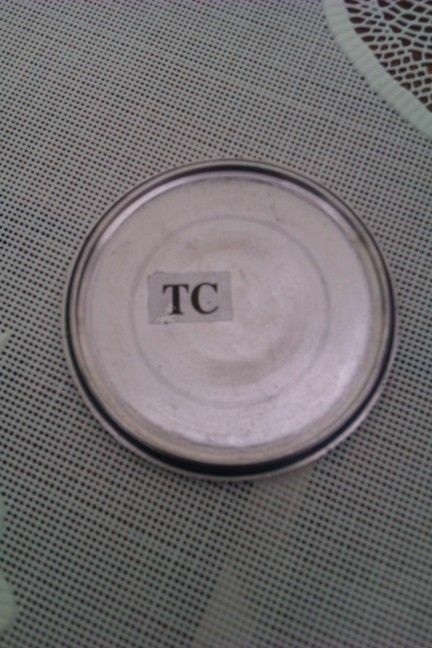 By pure coincident I saw this watch offered by one Hong Kong seller. 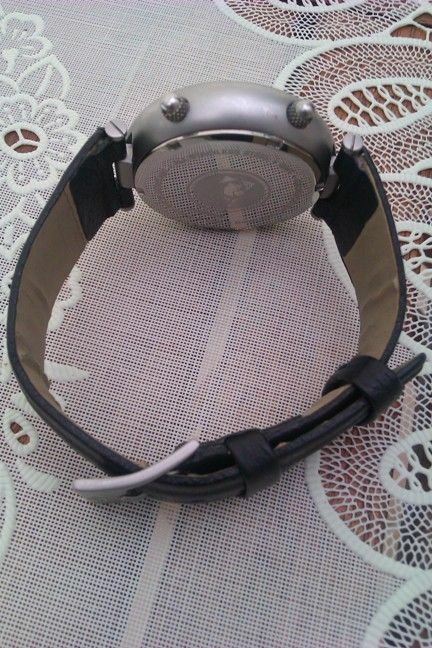 Based on the photos I can’t understand how this watch works. 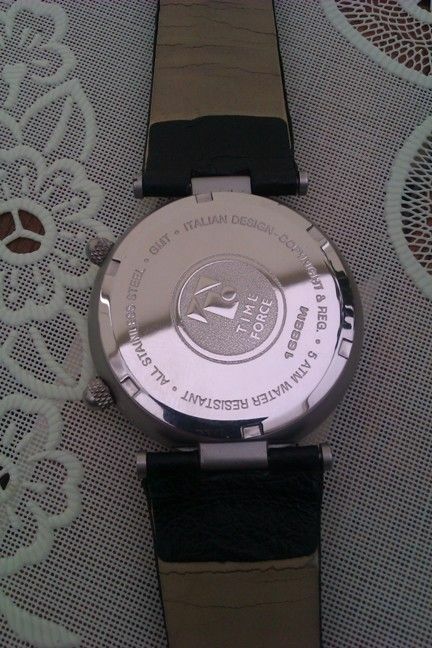 It was offered as a “Time Force of Switzerland GMT 24 hours quartz watch”. I wasn’t sure, is it a pure 24h watch or not. $56 was just a gambler’s bid. (Add here shipping from HK.) 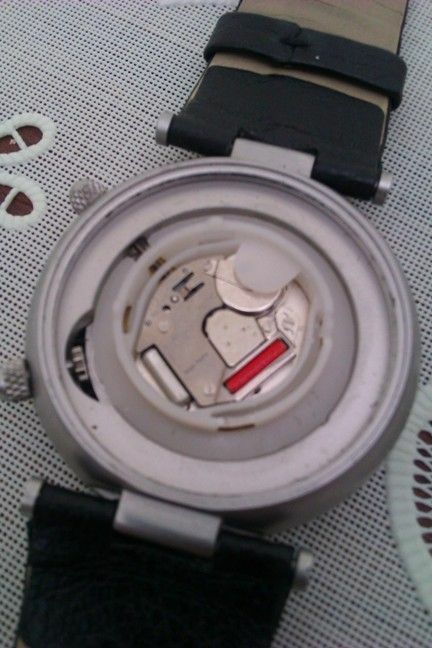 I thought that even if it is not suitable for my collection, I can resell this real Swiss made watch. The seller was right. This is a watch from Time Force of Switzerland (:: TIMEFORCE SCHWEIZ :: ultimate concept watches). Time Force was a watchmaker in Switzerland, but nowadays after year 2000 this brand is relocated to Spain (TIME FORCE - Ultimate Concept Watches & Jewels), with production centers in Spain, Switzerland and Hong Kong. They changed slightly the brand logo and changed dramatically the marketing. Now most of the famous Spanish athletes are all ambassadors of Time Force – Rafael Nadal, Christiano Ronaldo, Pau Gasol etc. etc. Original Time Force of Switzerland was created in 1991 with production centers in Switzerland and Hong Kong. 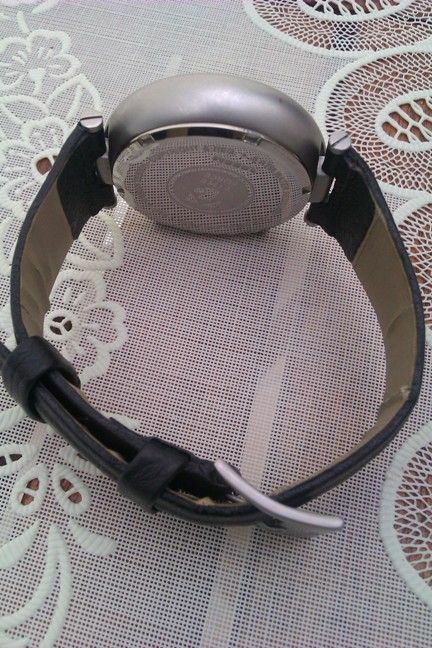 Beside its own brands, Time Force and MCM, the company produced watches for Bulova, Swiss Military, Givenchy etc. Back to our GMT model. 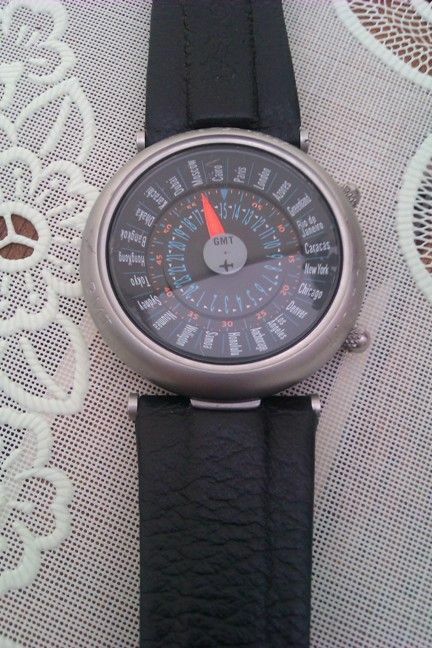 This watch has unique dial. I haven’t seen something like this before and based only on photos you can’t say how it works. Look at the picture. The outermost circle is the cities circle and it works like it should with worldtimer. You can rotate this circle in both directions with a crown located at 4. Next narrow circle is the dial. There are minute numbers in red and markers in blue. Next is coming hour hand – in a shape of a circle. This rotating circle has hours from 1 to 24. On top of the dial (at 12) is a blue triangle marking current time. Hour hand rotating and next to this blue triangle you see the current hour. Then the red minute hand comes. This is a normal hand. On the picture we have 14:54, location is Paris. Finally, in center is seconds hand as a small rotating circle with a plane and text “GMT” on it. It sounds (and is) complicated. This dial has several minuses, including that all the numbers are too small for my tired eyes. But here is also one advantage. The cities circle works very well. You just have to set your current location to the top (like Paris on the picture). And then the rotating hour circle shows time for all the cities. I like it this way. With most of the worldtimers you have to align the current location city with the position of hours hand. Here with Time Force GMT is the hours hand always positioned on the top. The case is solid. The quality of parts and assembly seems to be good. 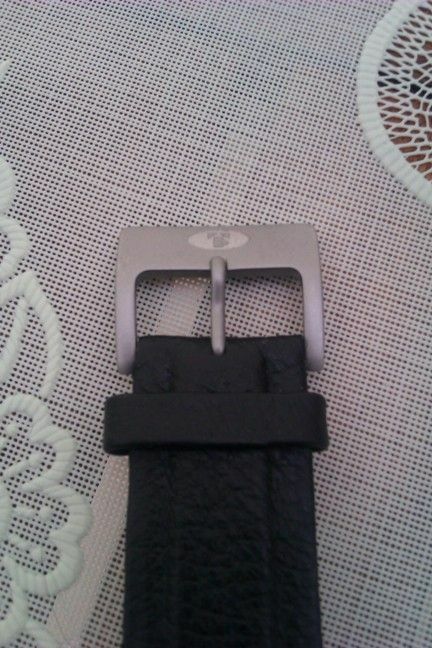 The movement is Ronda 763.24, formerly widely used for 24h watches, but discontinued now. 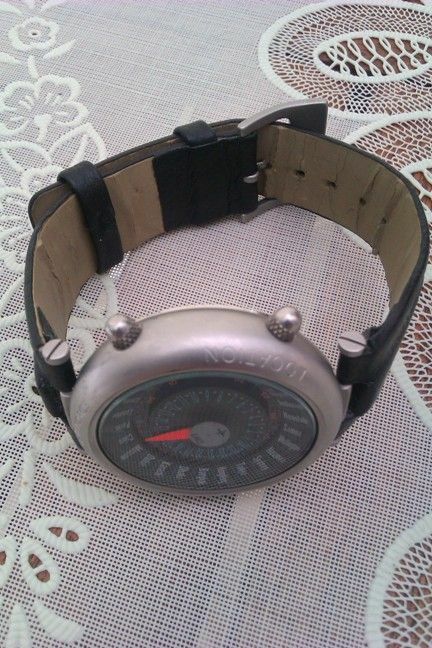 It is Swiss Parts, not Swiss Made version, but still reliable and OK. The overall quality level is better than with most of the today’s quartz 24h watches. 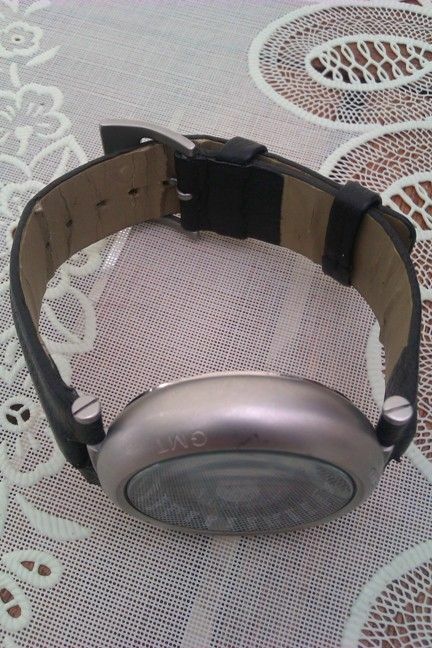 Functionally this watch is a true 24h watch, no doubt, and I will keep it in my collection. The originality level is high, but at the expense of usability. And the probability, that I can see it somewhere again, is low. Time Force GMT is a very hard to find watch, with the technical quality good enough, but it looks weird and confusing, and I’m not wearing it at all. Am I satisfied as a collector - yes. 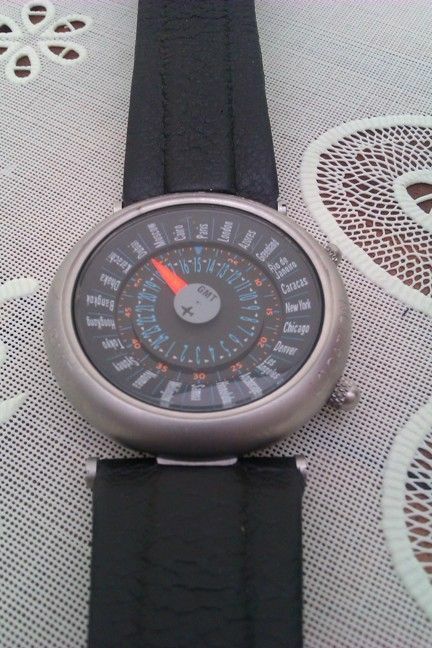 I found another watch with similar dial design. Current time is on the top, hour and minute hands are circles rotating counterclockwise. This is limited edition Global Lightwatch by Ehinger-Schwarz. I like the idea of these watches - unfortunately the vagaries of summer time makes them basically useless. This was my weekly post number 5 (AWW 5). As all the attachments corrupted in WUS and there is no possibility to edit older posts I decided to repost the missing pictures. Last edited by Afka; April 19th, 2013 at 11:57. Both Tissot and JLC have produced watches with a similar dial (cities arranged in that manner). The Tissot Navigator was a 24h and the JLC was 12h. Not a bad watch I guess but it's not original.